Shearmur, Jeremy. “Popper, Social Epistemology and Dialogue.” Social Epistemology Review and Reply Collective 6, no. 9 (2017): 1-12. Kemp, Stephen. “On Popper, Problems and Problem-Solving: A Review of Cruickshank and Sassower’s Democratic Problem-Solving.“ Social Epistemology Review and Reply Collective 6, no. 7 (2017): 27-34. 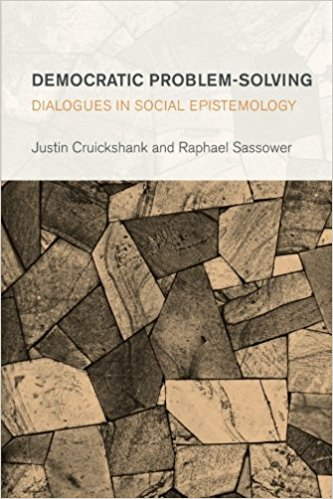 I was motivated to produce this contribution because the contributors to Cruickshank and Sassower’s Democratic Problem-Solving (2017) on which I was invited to comment were concerned with Popper and social epistemology but, in my view, did not really get to the heart of what he has to contribute to this field. It also seemed to me that an important qualification needed to be made to his approach, which they also seemed to me not to appreciate. The first point I found strange, because in my view social epistemology is at the heart of a Popperian approach, and Ian Jarvie, in his The Republic of Science, has offered a most important interpretation of his views from this point of view. Rather than simply re-presenting Jarvie’s ideas, I will here offer a briefer account of my own. I have treated some of these issues at greater length elsewhere, and I apologise for the fact that, for this reason, I have referred quite extensively in what follows to my own writings. The first and key point that in my view should be appreciated, is what Popper says in his Logic of Scientific Discovery about the aim of science and methodological rules. Popper, as is well-known, favoured boldness in science, and was inspired in his approach by his understanding of Einstein’s work and its significance. He offered, as is also well-known, an account of the development of scientific knowledge by way of conjectures and refutations. However, when he wrote he was well-aware that an approach very different from his own was possible: that of the conventionalists. What is striking is that, in The Logic of Scientific Discovery, Popper readily admitted that such an approach could be taken, and that it was completely coherent. But while Popper favoured boldness, and the growth of knowledge by way of conjectures and refutations, the conventionalists favoured making the smallest changes that were necessary to render our ideas consistent. One can see Popper’s distinctive approach to the theory of knowledge as a product of his choice of a particular view of the aims of science. Given the aim that Popper was commending, then boldness, and the adoption of a distinctive set of methodological rules to guide the development of our knowledge, made sense. If, by contrast, one favoured the aim of science chosen by the conventionalists, then the methodological rules that it would make sense to follow would be very different. In The Logic of Scientific Discovery Popper, while making clear where his own preferences lay, left the view that one took of the proper aims of science as a matter of decision. One reason for this was that, while Popper was conscious of holding metaphysical ideas, and stressed that they were typically meaningful, and the role that some metaphysical ideas had had in the development of science, he did not have to hand a theory of the rationality of holding one rather than another such view. Indeed, as I have argued elsewhere, one might see Popper’s ideas about the scope of reason (in the sense of what was open to rational resolution) as being limited, at the time, to empirical claims, formal and mathematical claims, and to methodological claims given some view about the aims of science (and, implicitly, of whatever other activity one was engaged in). He was gradually to generalize his approach. In his Open Society, he discussed ‘the rational attitude’ as an approach which exposed our ideas to criticism. His ideas here were clearly a generalization of his views about science. At the same time, he seemed at the same time to make a number of issues—e.g. moral matters—matters of decision. And when criticizing some claims made by Whitehead about progress in metaphysics, he wrote in such a way that it seemed clear that he thought that there was no way in which such a thing could be assessed. Popper had hoped that a translation of his Logik der Forschung would be published in English in 1954, and he planned to publish a postscript—which in the end became an additional, lengthy, book—in which he would report on developments in his ideas. It would take a great deal of work in Popper’s and other archive material to date exactly when these ideas developed. But among them was the view that metaphysics (of certain kinds) could be rationally assessed, and also his ideas about the role of ‘metaphysical research programmes’ in science. Through this work, one had a generalization of his falsificationism into his later and wider view of ‘critical rationalism’. I have reported on all this for several reasons. First, it is, in my view, important to bear in mind when, in Popper’s work, various ideas are presented—just because the earlier ideas sometimes have what, from the perspective of his later work, a ‘decisionistic’ character. Second, the significance of methodological rules—which seem to me at the heart of his theory of knowledge—are often overlooked. In particular, it is often argued that Popper has no response to the ‘Duhem-Quine’ problem. But his view, already in The Logic of Scientific Discovery, was that while it was clearly open to us to make modifications to our ideas in the face of their encountering prima facie refutations, what was crucial was how we did this: by what methodological rules we were guided. Popper’s epistemology involved the elaboration of those methodological rules which were appropriate if the aim of scientific knowledge was as he indicated. And this meant that social procedures—about how ideas were handled—lay at the centre of his epistemology. This, as I suggested in a couple of papers published a few years ago, opened the way to seeing traditions and social institutions as something that also functioned as epistemological rules in Popper’s sense. 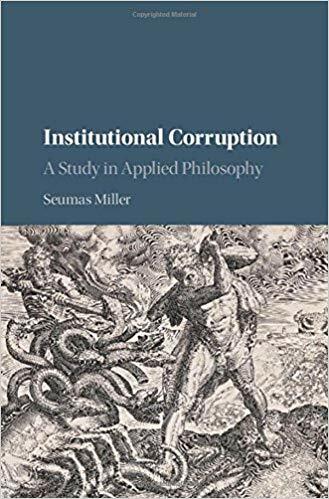 This opens up the possibility of the scrutiny of our various institutions, traditions and procedures from the perspective of their epistemological consequences. I subsequently suggested that from the perspective of Popper’s emphasis on the importance of others as sources of criticism, then given an interest in truth (or in the correctness of our moral views), there was an epistemologically-based argument for the according of rights of a certain kind to others. While there is not the space to explore it here, one can obviously take an approach of this kind also to the organization of academic work itself. That is to say, scholars are subject to all kinds of incentives, from requirements to raise funding, to the procedures for tenure, promotion, the acceptance of papers by journals (and the pressure to publish in journals which are highly-ranked within their discipline). All this can be seen—and evaluated—as a system of methodological rules, in terms of its epistemological consequences. It is striking that many of those involved in academic life are contemptuous of the idea that, in economics, ‘the world runs [OK] by itself’. But there, after all, there is the price mechanism and a system of incentives which have been argued, in the presence of a legal system of a certain kind, to have a broadly equilibriating effect. With regard to the academic world, it seems a massive (and blind) act of faith to imagine that our current arrangements produce the macro-level effects at the level of knowledge that we would actually wish for. I need also to mention one other important but complex problem. It relates to pluralism. Popper (and still more strongly Feyerabend at that time in his career when he could be described as more or less a Popperian) stressed the significance of the contention of a pluralism of different perspectives. In the light of Popper’s later work, one might conceptualize these as people who are pursuing different research programmes. If we are to learn from one another, it is, however, important that people are fallibilistic about their approaches, and also distinguish between programmatic ideas, and having actually delivered on what they had hoped for. For this to work, it seems to me, it requires that people respect that there should be shared (albeit revisable) standards as to what they need to do in order to be successful. Discussion about these can, clearly, involve argument that aspects of existing standards are problematic, or that aspects of what had taken to be the problems that needed to be resolved themselves stand in need of revision. It would seem, here, attractive if there could be physical clusters which exemplify different approaches. (In my own education, I benefited from this at the L.S.E., where there was a cluster of Oakeshottian political theorists in the Department of Government, while the Department of Philosophy was Popperian.) This seems much more effective than having a ‘token’ follower of different particular approaches in each department. At the same time, however, it would seem important that an understanding of the wider state of the discipline be cultivated, and that there exist professional institutions within which there are exchanges between different such perspectives, rather than people just working, like Kuhnian ‘normal scientists’ at technical puzzle-solving within their respective sub-disciplines. One important theme in Popper’s work was his emphasis on the role played by theories and ideas—from biologically-based preconceptions upwards—in experience. He stressed, strongly, the idea that all experience is interpreted, and that one could not escape this by trying to limit ourselves to what seemed self-evident. For Popper, the way to respond to this problem was to expose our ideas to inter-subjective criticism. One might put this point by saying that, faced with Descartes’ discovery that all kinds of opinions that he had held from his earliest days might be incorrect, Popper recommended a path which was roughly the opposite of Descartes’. Rather than cutting himself off from others, and re-creating knowledge from what seemed to be undeniable, Popper’s view was that we should, as it were, go out into the street, and try to learn from dialogue with others. In this context, Popper’s discussion of objectivity in his Open Society is striking: on his account, objectivity is a social product. While we aim for truth and objectivity, we can’t tell if we have reached it and other people pay a key role in informing us that things which we think are OK, aren’t. The key thing, then, is that we are enjoined, by Popper, to hold our ideas open to criticism, and to look not for cheap confirmations, but for cases in which we might well expect our ideas to be wrong. (It is, here, worth bearing in mind that even if all of our observations are interpreted in the light of a particular theory, this does not mean that our observations have to confirm the theory. We can ask: what kinds of behaviour of things—couched in terms of the theory—would call what the theory claims into question?) In all of this, we may be assisted by others. The task of appraising, critically, our favoured theories may be no easier than appraising objectively family members or much-loved pets. But luckily, other people—especially those who favour different views—can assist us here. This brings me to the first the approaches in his work which seems distinctive. It is his theory of the empirical basis (his approach towards which is also, as I will explain, in some ways paralleled by what he had to say about approaches to social policy in his ‘Public and Private Values’). Popper argued that we should appraise our conjectures against ‘basic statements’, where these were not the undeniable truths held with subjective certainty of the Cartesian or empiricist traditions, but, rather, claims about the world and its behaviour about which there was inter-subjective agreement. That is to say, for Popper, we should set out to put our ideas to the test, against an inter-subjectively agreed consensus as to what is the case; something which is itself fallible, and can be contested—but where such contestation needs itself to be conducted within the realm of what can be inter-subjectively agreed. What can be agreed about, is something at which we are likely to have to work, in discussion with others. In the course of this, we may have to strip off some theoretical content from our claims (where we find that this is contested by others), and work towards what we can agree upon. In this process, claims that we, as individuals, are certain about something clearly carry no weight. Popper here argued that in the face of this, we should explore the extent to which we might be able to form a shared agenda, directed towards things which we can agree are unacceptable, and in need of remedy through collective action. This could be called a ‘negative’ approach; but its content will be set by our consensual procedures rather than being dictated by ‘negative utilitarianism’. It is also worth noting that Popper, when he refers to what must be read as possible candidates for such things, includes points about injustice rather than just suffering. Popper had a life-long concern about suffering, but his own suggested agenda for public policy was not restricted to this. The results of such a process, Popper suggested, should form the agenda for public policy. Just because of our fallibility, and because actions taken to address it, can be expected to have unintended and perhaps problematic consequences, Popper argued for the importance of critical feedback from all citizens. He took up, in this context, the Kantian theme of the ‘rational unity of mankind’. From Popper’s perspective, it was important that we can get rid of governments democratically, without bloodshed. While it is also vital that there should be effective critical feedback as to whether policy is ineffective or is leading to problematic consequences. What might best exemplify this, however, is a matter of controversy. Such ‘piecemeal social engineering’ was envisaged by Popper as operating within a framework within which people’s liberty was protected, where this would include their protection from economic exploitation. Popper’s views in this whole area are modest, and on the face of it they would work to produce substantive agreement on an agenda for public policy only when social divisions were not too deep. In addition, if people have commitments to some background religious or social view which would prevent them agreeing to things which, otherwise, they would be expected to endorse, this may also pose problems. The result may be frustrating, but it seems that our more typical inclinations here—to force onto others things that we think are important, over the objections of those who disagree, when there is no procedure on the basis of which it can be shown that our views are better—are highly problematic. The second approach to be found in Popper’s work is, I think, an important one. His writings about it typically date from the period after he extended the scope of critical rationalism much more widely. They are, for example, to be found in his ‘The Myth of the Framework’, and also in his paper ‘On Toleration’. They can be seen as extending what Popper says about ‘the rational approach’ in his Open Society. Popper on the one side argues that rational interchange and learning is not limited to those with whom we are in fundamental agreement, and that we can hope to learn from anyone who is willing to adopt the view that we may each have something to learn from one another. At the same time, and this seems particularly important, Popper stressed that while we might learn from such discussions, there is no reason to suppose that they will lead to a consensus. Indeed, he illustrated this point from science, where he discussed the exchanges between Niels Bohr and Albert Einstein. They were, Popper argues, in fundamental disagreement—they were clearly following very different research programmes—yet they learned a lot from their exchanges, and the exchanges were very productive, scientifically. One might sum all this up in three points. First, in the background there is a need to accept that one is fallible, that one is aiming at truth, and that one aims to learn from interacting with the other person or persons. In addition, it is worth bearing in mind that the methodological rules which are appropriate can depend crucially on what one is aiming at, so that there may, for example, be difficulties in conversations between what one could call a Popperian aspirational realist (i.e. someone aiming at true, realistic knowledge about the world), and someone who is a conventionalist, at least until they both realize what is going on. Second, we are, on Popper’s account, influenced by our theories and by preconceptions of a kind from which we can’t release ourselves simply by trying to be objective. Rather, we need to be open to learning from others where our ideas—and our assumptions and procedures—may be problematic. But this requires that we seek ways in which our ideas etc can be scrutinized, criticized and tested, on the basis of things which might seriously cause problems for them, and on a basis which it is inter-subjectively agreed is pertinent to their evaluation. What can be evaluated in this manner, however, may be limited in its scope, and all kinds of things which may be both influential upon us personally, and important for our lives and work, may not be things which we can appraise in such terms. Third, these latter things, however, may be opened up to critical appraisal—but in a weaker sense, as the discussion may have to be much more personal, and cannot be expected to lead to consensus. However, we may be able to learn a great deal from it. Since he wrote, studies from different perspectives (from Nancy Fraser to the work of people influenced by Robert Young and by Darnton’s approach to the book) have called into question the idea that there was a single public sphere of the kind which—from J. S. Mill to Popper—liberals tended simply to assume exited. Since then, the development of the internet, the effect that this has had on serious investigative journalism, and the fragmentation of the public sphere into groups on social media, which often just re-enforce one another’s prejudices, seems to pose some real difficulties for the critical rationalist who interprets Popper in terms of social epistemology. Indeed, the problems run deeper than this, and beyond just virtual reality. Bill Bishop’s The Big Sort documented the way in which, in the United States, people have tended to cluster together, physically, in like-minded groups. The problems posed by this—notably as they have been magnified by certain recent developments within politics in the U.S.—are considerable. The current rise of populism in such a context, internationally; the shortening of the news cycle, and the role played by social media (and the circulation within it of ‘news’ without fact-checking or any kind of critical gate-keeping) suggests that we face a difficult problem of institutional design if we are to preserve an effective public sphere. It seems to me that the current British House of Lords offers an interesting model here. Its membership consists predominantly of life peers, who are appointed—after consultation—on the basis of their experience and ability to represent a particular kind of perspective in such a setting. They will customarily retain connections with the sphere from which they were drawn (which might, say, involve charities which work with people who can’t easily be given a voice themselves). But at the same time, they will not serve as political lobbyists for it. In addition, their taking up such a position is normally a mark of their not having further ambitions from the field from which they were drawn. Appointment to the House of Lords is an honour; discourse within it is informed and reflective, and there is typically not a majority committed to support of any particular political party. Their role, it seems, could be enhanced if they were provided with effective support and staff, such that they could become a channel for reflective issues emanating from the citizenry as a whole. (More direct requests for assistance and lobbying would be channelled through the other, political body—in the British case the House of Commons—as at present.) An effective and improved House of Lords could serve as a focus for the work of public policy institutes and bloggers, so that they might hope to make a deliberative case of a sort which would command support if it were raised in the Lords. It would also have the virtue of being a single, central body which could speak with some authority. This is obviously just one, briefly developed, suggestion. My aim in making it has not been in the expectation that, on coming across it, any reader will be convinced. My hope, rather, is to stimulate them to do better. In what I have written above, I have set out briefly some of the themes which seem particularly interesting when Karl Popper’s work is read as social epistemology. The story is complicated and nuanced, and one has, in particular, to consider how Popper’s views about what is open to rational evaluation change over time. In addition, it seems to me especially important to note the difference between those areas in which Popper thought that we might be able to aim at consensus (important both in terms of the evaluation of empirical claims, and as setting an agenda for public policy), and other areas in which, while we might hope to learn, consensus was not to be expected. The significance of Hayek for our story is twofold. First, spurred by what he thought, when he came to Britain, was a surprising lack of knowledge about discussions that had taken place on the Continent about the economic problems of socialism (understood as a system which replaced markets by administration), he published a collection, Collectivist Economic Planning. To this, he himself contributed, and he subsequently published additional papers on the same topic. While in some ways at the heart of Hayek’s collection was Ludwig von Mises’ argument that rational economic (as opposed to purely technical) decision-taking could not take place in the absence of markets and market prices, for our purposes the key argument was one that Hayek himself developed. It was that one should see society as involving individuals (both acting as such, and also in organizations), as having all kinds of knowledge, including knowledge which could not be articulated, which could not be centralized. It was possible, Hayek argued, to make use, socially, of this scattered knowledge (and also for us to learn that aspects of it were incorrect), by way of the operation of the price system. This—in a rough and ready way—gave us information about the preferences and plans of others, in an aggregated form, and also incentives to adjust our assumptions and expectations so that they became more coherent with those of other people. All this, he argued, played a key role in large, non-face-to-face societies, and a central problem about socialism was that it ignored the existence of this, and the (key) role that it played. These ideas then also played an important role in the development of Hayek’s own more narrowly economic ideas, in which he started to take issue with assumptions about perfect knowledge on the part of actors, which were commonly made in microeconomics. Hayek was not opposed to governmental action, and, indeed, he supported the idea of a welfare state. But for him, a key problem became what government should do, and how it should do it without inadvertently destroying the operations of these mechanisms. Indeed, Hayek went on to spell out that there were, in his view, some real problems here, as markets rewarded people on the basis of something like the social utility of their actions (judged in terms of individuals’ preferences), rather than their merits. While, following David Hume, he argued that the legal system that was needed was likely to generate cases in which what took place would seem—if one did not bear in mind the wider social function which the legal rules in question played—to be unfair. All of this is relevant for our present concerns. For if Hayek has got this anything like right (and his account of these matters seems telling), then two things follow. First, markets serve as a kind of system of communication. This is not to say that they are in any sense perfect. And, clearly, it may be important to reflect critically, together, on our preferences and on the macro effects which acting on them may generate. But that the functions with which Hayek was concerned are being discharged plays a key role in our society, and one which it is not clear that we can replace. Second, the mechanisms which play such a role may, indeed, be open to modification and improvement. But, as Hayek identified, there may be features of them, or effects of them, which we don’t like, but which play a key role in their operation. That is to say, Hayek has argued that there exist important social structures, with sometimes unlovely features, by which we need to be constrained if we are to enjoy their benefits. If he is right about this—and I think that he is—then Popper’s criticism of ‘essentialism’ was, in part, mistaken. Indeed, one might add that while it seems that Marx’s optimistic teleology is mistaken in two ways (that there is a telos to history, and that there is the possibility of running a developed society which is socialist in his sense), some of his points about the ways in which we are constrained by products of human action but not of human design are also completely correct. We need, I think, to be realists in the philosophy of social science, in a way that parallels the realism of Popper’s philosophy of natural science. Insofar as Popper—and indeed Rorty (to say nothing of ‘postmodernists’)—disagree with this, they seem simply wrong. This, however, also has important consequences for Popper’s ‘piecemeal social engineering’. For we may be able to agree that some things are problematic, and put them on our agenda for governmental action, not realizing that they are things to change which would do grave damage to social institutions which we value. Clearly, what we can and can’t do here is a matter for theoretical debate. But it is a matter, typically, for specialist debate. It would be good if we could render this discussion as open as we can; but there may be limits to this. I, say, am highly conscious that when discussion gets into certain kinds of technicalities, I don’t have the training or I suspect the capacity, to contribute to it. Further, while such knowledge is obviously fallible and tentative, in a good society it would seem to need to be given a certain authority, and rendered immune to merely populist criticism. One might, thus, say that if there is anything to this line of argument from Hayek, we need to modify the ideas about dialogue and ‘piecemeal social engineering’ which I earlier explored in connection with Popper’s work, and to accept that they are likely to need to operate within the constraints of a socially entrenched fallible framework of specialist knowledge. At this point, I am conscious that my thoughts are being interfered with what I think may be ironic laughter from the ghost of Plato; so I will stop. Ian Jarvie, The Republic of Science, Amsterdam and Atlanta: Rodopi, 2001. Jarvie’s approach may usefully be contrasted with that of David Miller in his Critical Rationalism, Chicago: Open Court, 1994 and Out of Error, Aldershot: Ashgate, 2006, in which logic rather than methodology is emphasised. See Popper’s Open Society, London: Routledge, 1945 etc, chapter 24, section V.
 ‘The Religious Sect as a Cognitive System’, Annual Review of the Social Sciences of Religion, 4, 1980, and ‘Epistemology Socialized?’, et cetera, Fall 1985. I discussed this in ‘From Dialogue Rights to Property Rights’, Critical Review, 4, numbers 1 & 2, 1990; ‘From Intersubjectivity Through Epistemology to Property: Rejoinder to Michelman’, Critical Review, 4, numbers 1 & 2, 1990 (which as a reply I think was not very effective), and also in my Political Thought of Karl Popper, and my Hayek and After, both London: Routledge, 1996. See also my ‘The Use of Knowledge in Organizations’, revised version, Knowledge Technology & Social Policy 13, no. 3 (2000): 30-48. Compare David Boaz, The Libertarian Mind, New York: Simon and Schuster, page 53, who refers to a group of merchants as responding to Louis 15th’s asking what he could do to help them by saying: Leave us alone: the world runs by itself. It is interesting to note that this was favoured by both Abraham Kuyper and the later Alasdair MacIntyre. See Popper’s Open Society, chapter 23. There is a deeper problem, concerning interesting tensions between what is probably our need to protect certain elements of our identities from criticism, and the fact that they may include false ideas, and the difficult issues posed when such core ideas pose problems for others. This, however, calls for a paper other than this one! How the resulting approach should best be characterized seems something on which ongoing work is needed. I have had an initial attempt in ‘The Empirical Basis’, in David Miller, Karl Milford and Ian Jarvie (eds), Karl Popper: A Centenary Assessment, volume II: Metaphysics and Epistemology, Aldershot: Ashgate, December 2006, 197-208, and ‘Popper’s Theory of Basic Statements’, Cahiers épistémologiques, numéro 4 ‘Spécial Popper’, volume 2, but I am far from satisfied with this. My approach, however, is far removed from that of Gunnar Andersson in ‘The problem of the empirical basis in critical rationalism’ in The Cambridge Companion to Popper, which, in my view, is still too much within the empiricist tradition. One source of particular frustration in my academic life, is that since I came across ‘Public and Private Values’ in the Popper archive, I have argued on several occasions, from The Political Thought of Karl Popper onwards, that ‘negative utilitarianism’ is not a good way of describing Popper’s ideas. This has made no impression whatever, and while this would be fine if my arguments for this were rebutted—I don’t need any convincing that I am fallible—that they have been simply ignored has been somewhat frustrating! The interpretation of Popper’s ideas here is a difficult one, just because there are other more Kantian echoes in his work, too—e.g. in his ideas about ‘protectionism’, and in some aspects of his ethics. It seems to me that Popper himself did not produce a systematic view, here. See my Political Thought of Karl Popper for some misgivings about the ability of democratic politics to perform well in this manner. Consider, say, those Marxists or libertarians who, while agreeing that child poverty, say, needs to be alleviated, would object to the idea that this should be undertaken as a project by a reformist state. Or consider, say, those who believe in a form of reincarnation. They might admit that current suffering was very sad, but argue that it was necessary, in order that a soul could progress in a satisfactory way through its various incarnations. A key problem, here, seems constituted by contemporary ideas about rights; but this point will have to be pursued in another paper. ‘The Myth of the Framework’ is available in The Myth of the Framework, London: Routledge, 1994; ‘On Toleration’ in After the Open Society, London: Routledge, 2008. A key feature of a ‘Popperian’ approach, here, is that we evaluate the performance of views over time. Here, we can learn much from both Popper and Lakatos (although I don’t favour his approach of ‘scientific research programmes’ at those points where it becomes distinctive). See, for examples of how I would apply such views, my Hayek and After, chapter 1, my ‘Commitment, Scholarship and Classical Liberalism’, The Independent Review 7 (2003): 575-85 and my ‘Why the “Hopeless War”: Approaching Intelligent Design’, Sophia 49 (2010): 475-88. This is a topic that I have treated at some length in ‘Popper and the Problem of the Public Sphere’, in Andrea Borghini and Stefano Gattei (ed. ), Karl Popper Oggi: Una Riflessione Multidisciplinare, Rome: Salomone Belforte & C., 2011, 231-252; ‘Popper, Filosofia y la Esfera Pública’, in Rodrigo López, Carlos Verdugo and Byron Bevensee, eds. El Legado de Karl Popper (1902-1994): Reflexiones a 20 Años de su Muerte, Valparaíso, Chile: Universidad de Valparaíso, 2015, 25-50; ‘Popper, Objectification and the Problem of the Public Sphere’, Philosophy of the Social Sciences, DOI: 10.1177/0048393116639845; July 2016, 46, 392-411; and also in ‘Popper, Toleration and Dialogue’, International Symposium on Karl Popper and Problem of Change, Ankara, Turkey, 18th-20th September, 2015 (a paper which, because of the recent political disturbances in Turkey, may now possibly not be published). Jürgen Habermas, Structural Transformation of the Public Sphere , Cambridge, MA: MIT Press, 1989. See for example Nancy Fraser, ‘Actually Existing Democracy’, Social Text, nos. 25/26, 1990, 56-80 and Justice Interruptus, London: Routledge, 1997; Robert Young, ‘Natural Theology, Victorian Periodicals, and the Fragmentation of a Common Context’, in his Darwin’s Metaphor, Cambridge: Cambridge University Press, 1995; Robert Darnton, ‘What Is the History of Books?’, Daedalus 111, no. 3 (1982): 65-83; James Secord, Victorian Sensation, Chicago: University of Chicago Press, 2000 and Jonathan Topham, ‘Beyond the “Common Context”’, Isis 89 (1988): 233-262. Bill Bishop, The Big Sort, Boston: Houghton Mifflin, 2008. I say this just because the term seems initially to have been used about those who, while broadly market-orientated classical liberals, wanted to accord a greater role to the state than some others favoured. See my ‘Popper’s Influence on the Social Sciences’, in Lee McIntyre and Alex Rosenberg, Editors, The Routledge Companion to the Philosophy of Social Science, London etc: Routledge, 2017, 55-64. 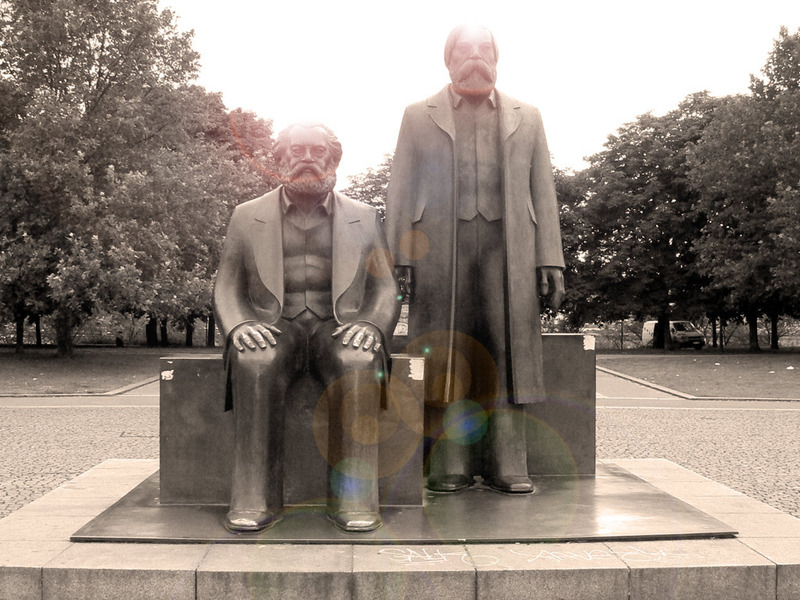 See on this my ‘Popper, Political Philosophy and Social Democracy: Reply to Eidlin’, Critical Review 18, no. 4, 361-76; Karl Popper’s Politics: Liberalism versus Democratic Socialism (CIS Occasional Paper 53), St Leonards, NSW: CIS, 1995, and my Political Thought of Karl Popper, London etc: Routledge, 1996. See F. A. Hayek (ed.) Collectivist Economic Planning, London: Routledge, 1935. Hayek’s own key contributions to the discussion appear in his Individualism and Economic Order, London: Routledge, 1949. It is, here, worth noting that Popper stressed the abstract and impersonal character of an Open Society. It is striking that there was a lot of distrust of Hayek on the part of more strongly libertarian people in the United States, because he was thought to be unsound on this point! I have discussed this, and the tension between Popper’s ideas, here, and his acceptance of what he (without much enthusiasm) called ‘modified essentialism’ in the physical sciences, in my Political Thought of Karl Popper. It is a testament to the lasting influence of Karl Popper and Richard Rorty that their work continues to provide inspiration for debates concerning the role and purpose of knowledge, democracy, and intellectuals in society. Alternatively, it is a testament to the recurrence of the problem that continues to lurk under the glossy analytical surface or occasional normative consensus of these debates: the impossibility to reconcile the concepts of liberal and epistemic democracy. Essays collected under the title Democratic Problem-Solving (Cruickshank and Sassower 2017) offer grounds for both assumptions, so this is what my review will focus on. Democratic Problem-Solving is a thorough and comprehensive (if at times seemingly meandering) meditation on the implications of Popper’s and Rorty’s ideas for the social nature of knowledge and truth in contemporary Angloamerican context. This context is characterised by combined forces of neoliberalism and populism, growing social inequalities, and what has for a while now been dubbed, perhaps euphemistically, the crisis of democracy. Cruickshank’s (in other contexts almost certainly heretical) opening that questions the tenability of distinctions between Popper and Rorty, then, serves to remind us that both were devoted to the purpose of defining the criteria for and setting the boundaries of rational discussion, seen as the road to problem-solving. Jürgen Habermas, whose name also resonates throughout this volume, elevated communicative rationality to the foundational principle of Western democracies, as the unifying/normalizing ground from which to ensure the participation of the greatest number of members in the public sphere. Intellectuals were, in this view, positioned as guardians—epistemic police, of sorts—of this discursive space. Popper’s take on epistemic ‘policing’ (see DPS, 42) was to use the standards of scientific inquiry as exemplars for maintaining a high level, and, more importantly, neutrality of public debates. Rorty saw it as the minimal instrument that ensured civility without questioning, or at least without implicitly dismissing, others’ cultural premises, or even ontological assumptions. The assumption they and authors in this volume have in common is that rational dialogue is, indeed, both possible and necessary: possible because standards of rationality were shared across humanity, and necessary because it was the best way to ensure consensus around the basic functioning principles of democracy. This also ensured the pairing of knowledge and politics: by rendering visible the normative (or political) commitments of knowledge claims, sociology of knowledge (as Reed shows) contributed to affirming the link between the epistemic and the political. As Agassi’s syllogism succinctly demonstrates, this link quickly morphed from signifying correlation (knowledge and power are related) to causation (the more knowledge, the more power), suggesting that epistemic democracy was if not a precursor, then certainly a correlate of liberal democracy. should public intellectuals retain their Socratic gadfly motto and remain on the sidelines, or must they become more organically engaged (Gramsci 2011) in the political affairs of their local communities? Can some academics translate their intellectual capital into a socio-political one? Must they be outrageous or only witty when they do so? Do they see themselves as leaders or rather as critics of the leaders they find around them (149)? After all, differences in vocabularies of debate matter only if access to it depends on their convergence to a minimal common denominator. The problem for the guardians of public sphere today is not whom to include in these debates and how, but rather what to do when those ‘others’ refuse, metaphorically speaking, to share the same table. Populist right-wing politicians have at their disposal the wealth of ‘alternative’ outlets (Breitbart, Fox News, and increasingly, it seems, even the BBC), not to mention ‘fake news’ or the ubiquitous social media. The public sphere, in this sense, resembles less a (however cacophonous) town hall meeting than a series of disparate village tribunals. Of course, as Fraser (1990) noted, fragmentation of the public sphere has been inherent since its inception within the Western bourgeois liberal order. The problem, however, is less what happens when other modes of arguing emerge and demand to be recognized, and more what happens when they aspire for redistribution of political power that threatens to overturn the very principles that gave rise to them in the first place. 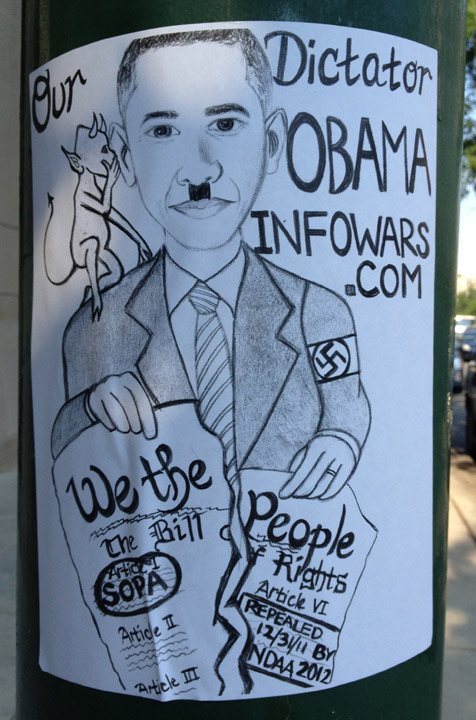 We are used to these terms denoting progressive politics, but there is little that prevents them from being appropriated for more problematic ideologies: after all, a substantial portion of the current conservative critique of the ‘culture of political correctness’, especially on campuses in the US, rests on the argument that ‘alternative’ political ideologies have been ‘repressed’, sometimes justifying this through appeals to the freedom of speech. In assuming a relatively benevolent reception of scientific knowledge, then, appeals such as Chis and Cruickshank’s to engage with different publics—whether as academics, intellectuals, workers, or activists—remain faithful to Popper’s normative ideal concerning the relationship between reasoning and decision-making: ‘the people’ would see the truth, if only we were allowed to explain it a bit better. Obviously, in arguing for dialogical, co-produced modes of knowledge, we are disavowing the assumption of a privileged position from which to do so; but, all too often, we let in through the back door the implicit assumption of the normative force of our arguments. 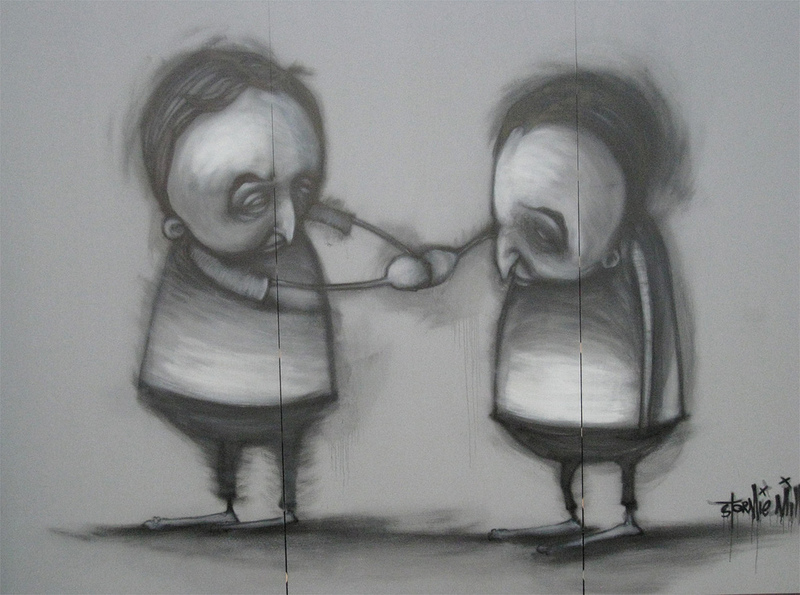 It rarely, if ever, occurs to us that those we wish to persuade may have nothing to say to us, may be immune or impervious to our logic, or, worse, that we might not want to argue with them. For if social studies of science taught us anything, it is that scientific knowledge is, among other things, a culture. An epistemic democracy of the Rortian type would mean that it’s a culture like any other, and thus not automatically entitled to a privileged status among other epistemic cultures, particularly not if its political correlates are weakened—or missing (cf. Hart 2016). Populist politics certainly has no use for critical slow dialogue, but it is increasingly questionable whether it has use for dialogue at all (at the time of writing of this piece, in the period leading up to the 2017 UK General Election, the Prime Minister is refusing to debate the Leader of the Opposition). Sassower’s suggestion that neoliberalism exhibits a penchant for justification may hold a promise, but, as Cruickshank and Chis (among others) show on the example of UK higher education, ‘evidence’ can be adjusted to suit a number of policies, and political actors are all too happy to do that. Does this mean that we should, as Steve Fuller suggested in another SERRC article (http://wp.me/p1Bfg0-3nx) see in ‘post-truth’ the STS symmetry principle? I am skeptical. After all, judgments of validity are the privilege of those who can still exert a degree of control over access to the debate. In this context, I believe that questions of epistemic democracy, such as who has the right to make authoritative knowledge claims, in what context, and how, need to, at least temporarily, come second in relation to questions of liberal democracy. This is not to be teary-eyed about liberal democracy: if anything, my political positions lie closer to Cruickshank and Chis’ anarchism. But it is the only system that can—hopefully—be preserved without a massive cost in human lives, and perhaps repurposed so as to make them more bearable. In this sense, I wish the essays in the volume confronted head-on questions such as whether we should defend epistemic democracy (and what versions of it) if its principles are mutually exclusive with liberal democracy, or, conversely, would we uphold liberal democracy if it threatened to suppress epistemic democracy. For the question of standards of public discourse is going to keep coming up, but it may decreasingly have the character of an academic debate, and increasingly concern the possibility to have one at all. This may turn out to be, so to speak, a problem that precedes all other problems. Essays in this volume have opened up important venues for thinking about it, and I look forward to seeing them discussed in the future. Hart, Randle J. “Is a Rortian Sociology Desirable? Will It Help Us Use Words Like ‘Cruelty’?” Humanity and Society, 40, no. 3 (2016): 229-241.